I am an author, a software engineer, and a game developer. You can contact me via email at bbutts@stormcode.net. or check me out on GitHub. 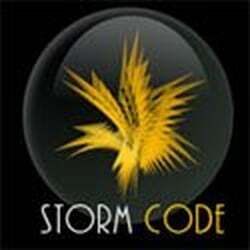 Storm Code was a web development company I founded in 2007. We were in business for 10 years, servicing dozens of clients across a variety of business sectors. We provided SEO, content writing, PHP development, web design, hosting, and database services. We also took on interns from local colleges and provided them with a solid foundational knowledge of web development. Lacuna Cathect was a hybrid ARG/LARP game that I helped run in 2015 and 2016. Players were recruited into a secret corporation that collected magical artifacts and kept mysterious forces at bay. It was a game about facing fears, and about the importance of working together. Neon Dystopia is a cyberpunk culture and aesthetic website that I have been a writing contributer on. I've contributed articles on driverless cars, and privacy in a data driven world. You can check them out at NeonDystopia.com.